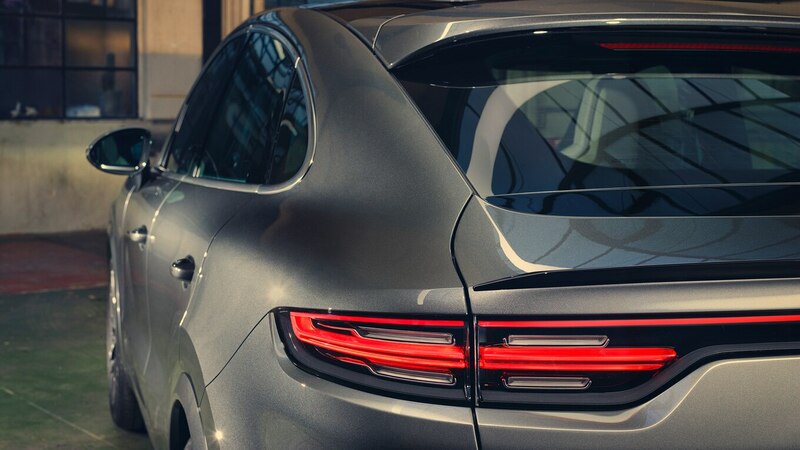 Argue over the semantics if you will, but four-door coupes are a thing. 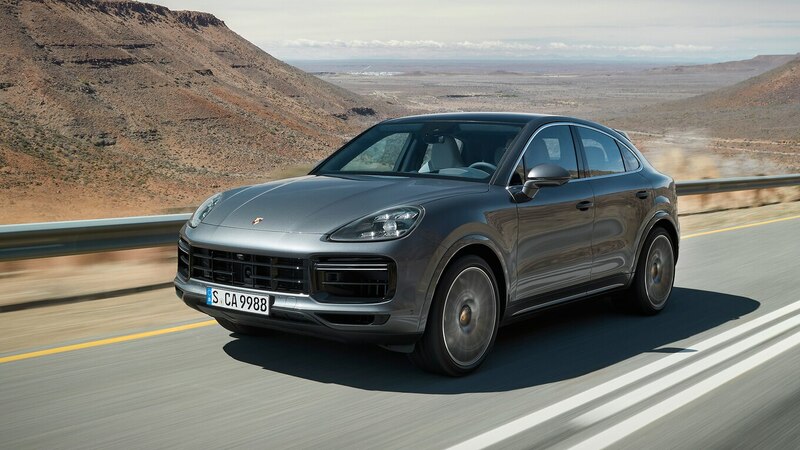 So, too, are four-door coupe SUVs. 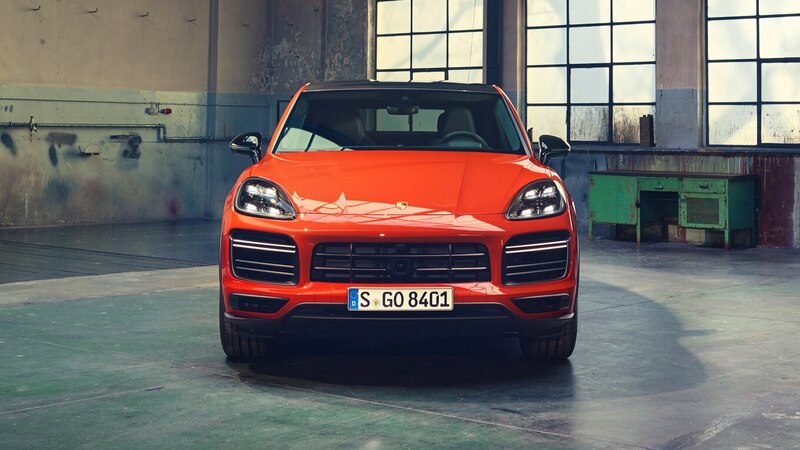 BMW offers the X6, X4, and X2; Mercedes-Benz has its GLE and GLC Coupes. 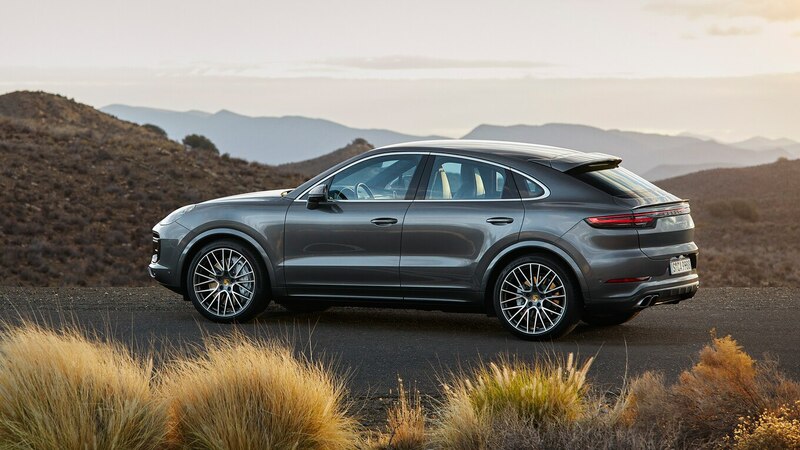 Audi’s flagship Q8 flirts with the format, as does the forthcoming electric-powered E-Tron Sportback. 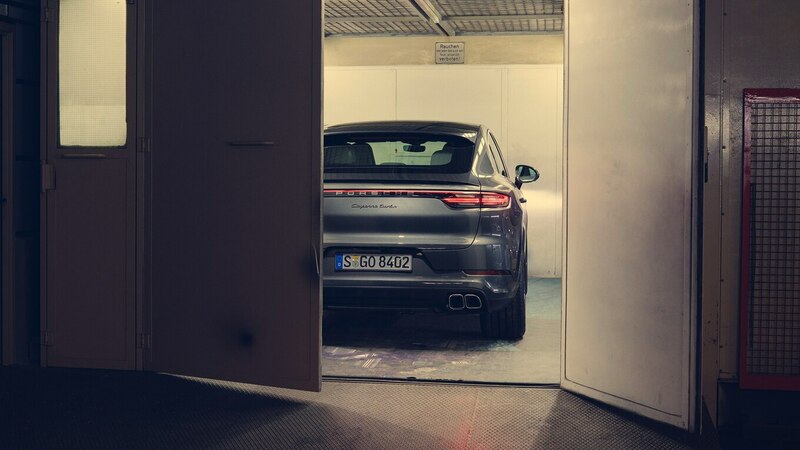 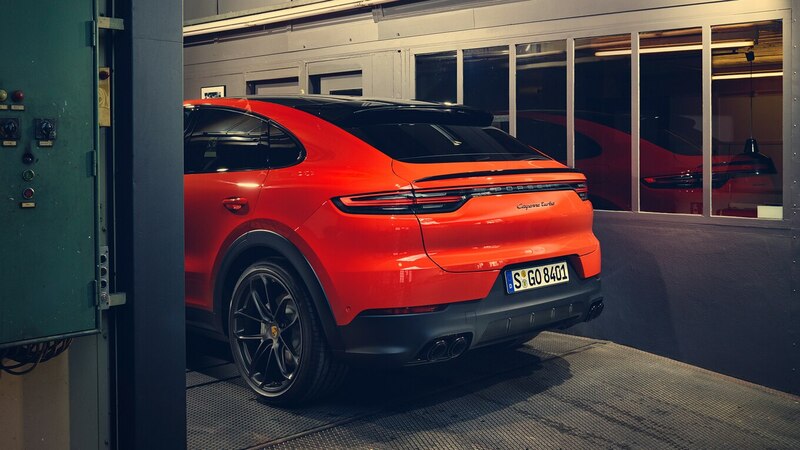 And now here’s Porsche arriving fashionably late to the party with the 2020 Cayenne Coupe, scheduled to go on sale in the North America this fall. 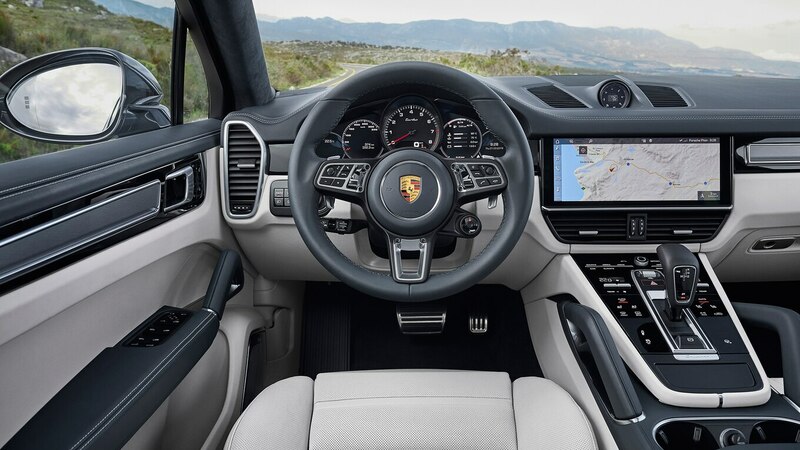 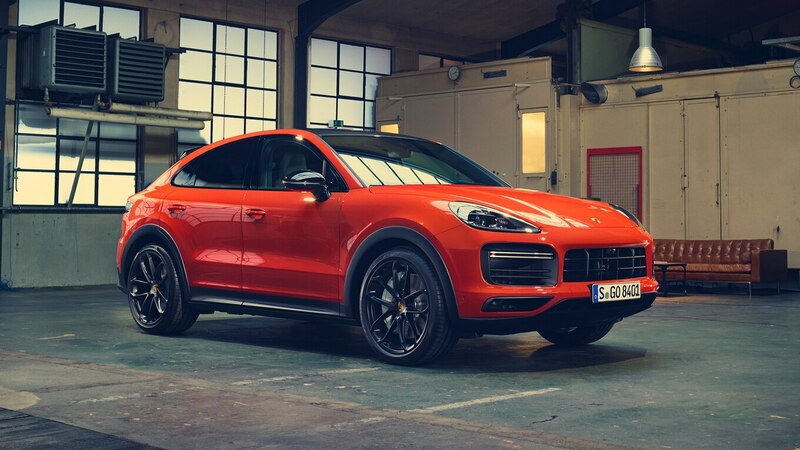 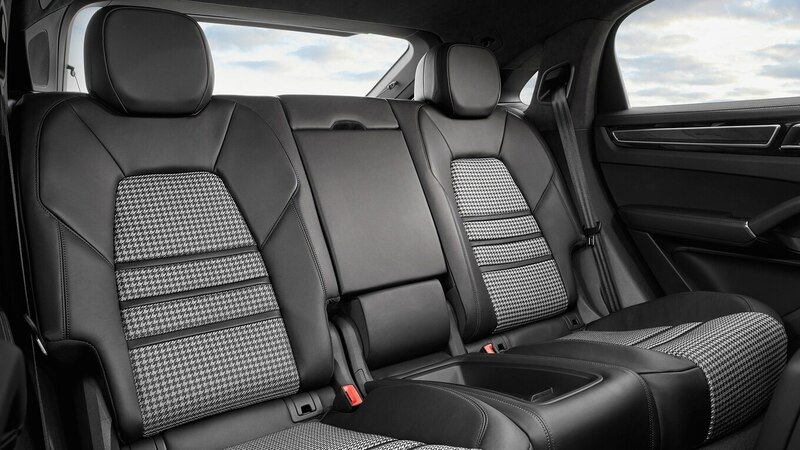 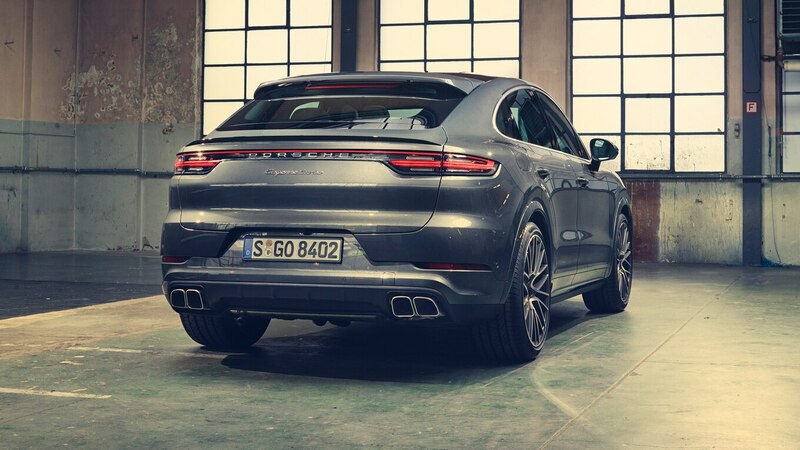 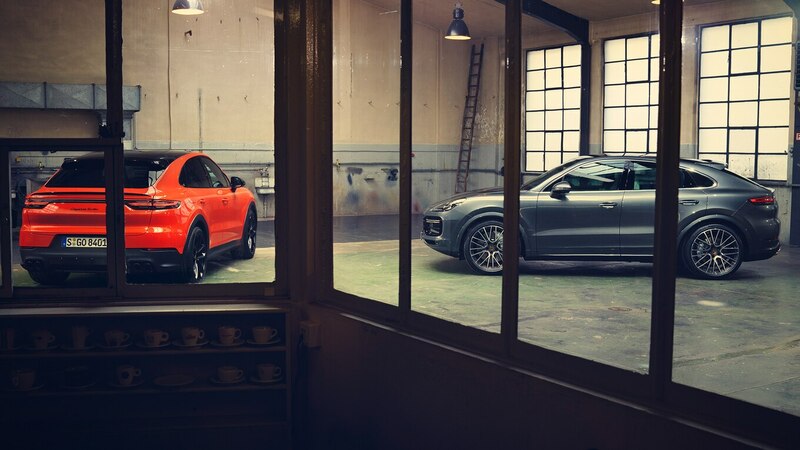 The Cayenne Coupe shares its basic structure and mechanical hardware with the regular Cayenne. 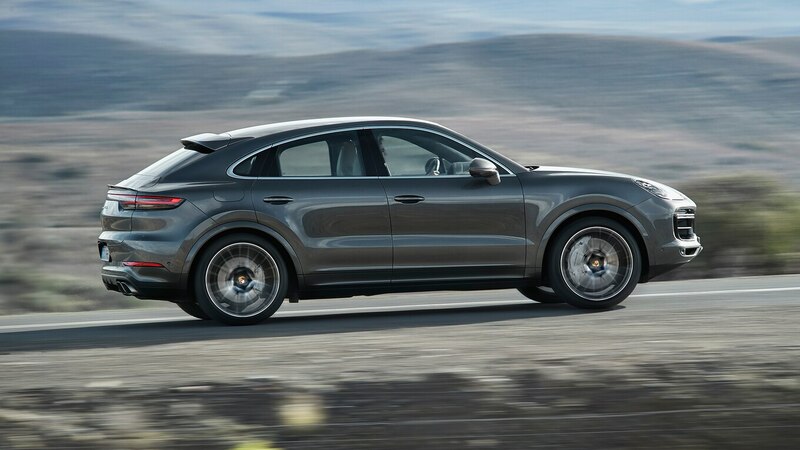 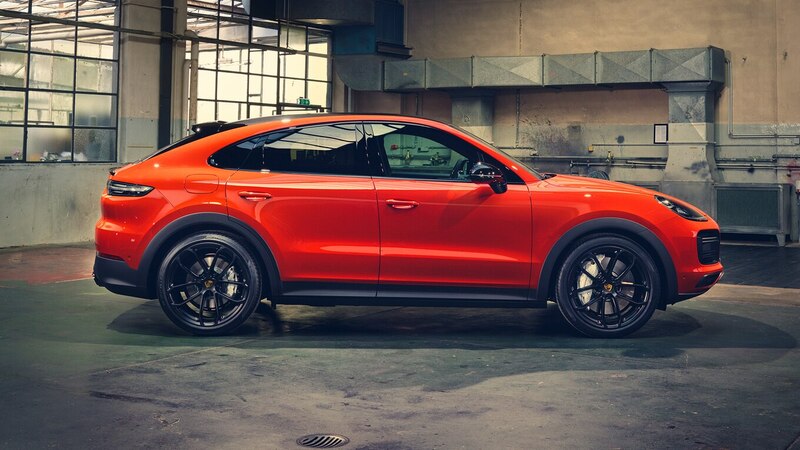 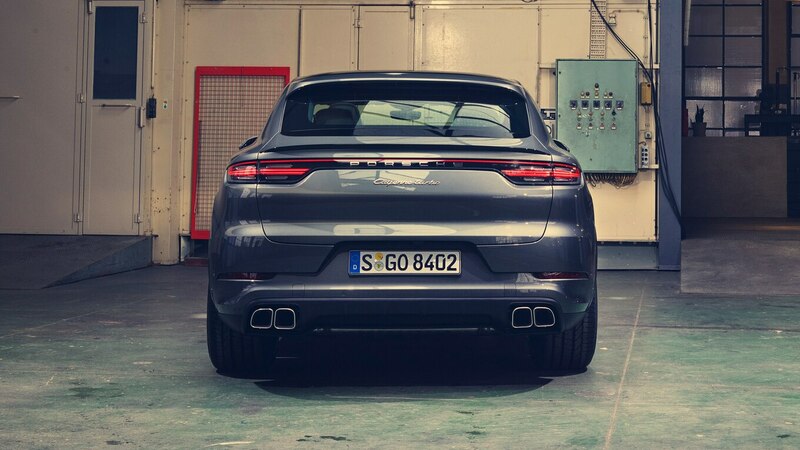 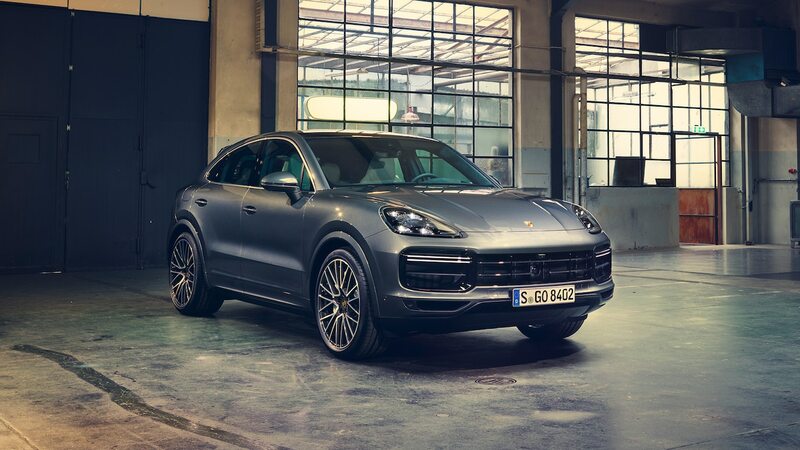 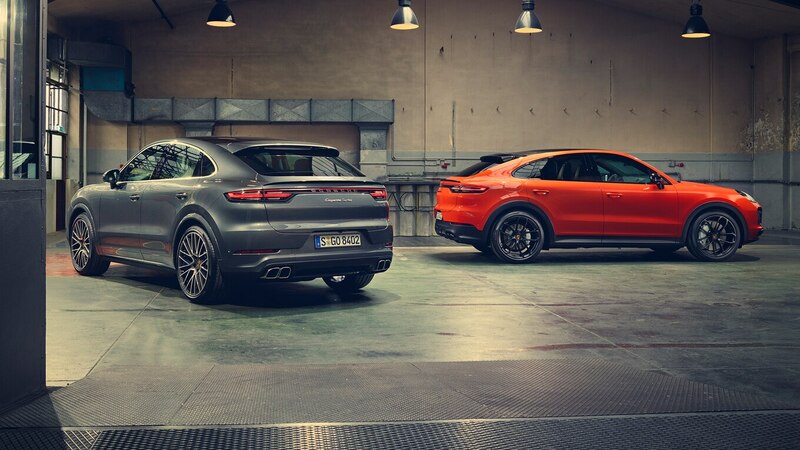 Two versions of the Coupe will be available at launch: the entry-level model powered by the 335-hp, 332-lb-ft single turbo V-6; and the Cayenne Turbo Coupe, which has a 541-hp, 567-lb-ft variant of Porsche’s versatile 4.0-liter twin-turbo V-8 under the hood. 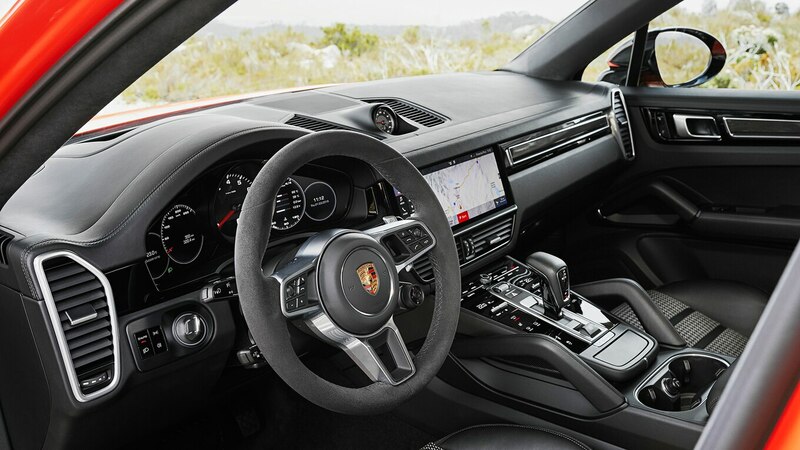 The V-6 Coupe will start at $76,550 USD, the Turbo Coupe at $131,350 USD (including $1,250 USD destination). 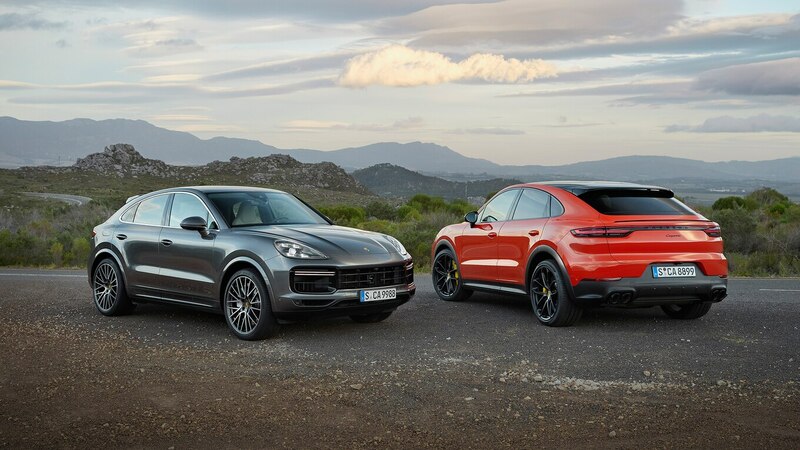 That’s $9,600 and $5,500 USD more, respectively, than Porsche currently charges for its corresponding regular Cayennes, though that gap will likely narrow once pricing for the 2020 regular models is announced. 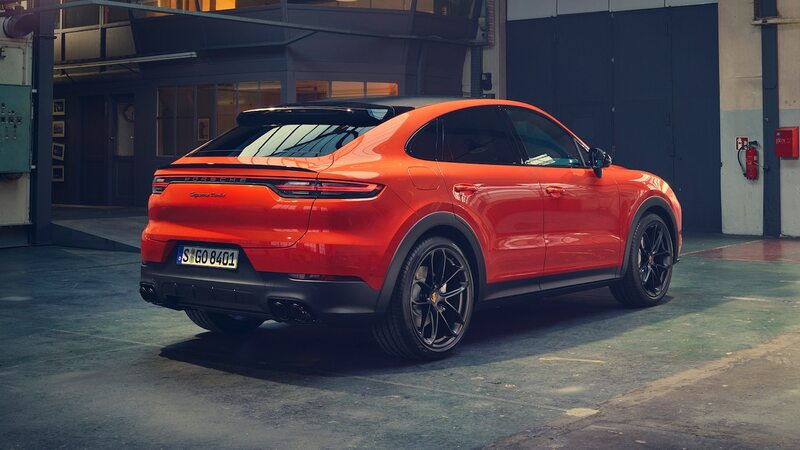 What does the extra money buy you? 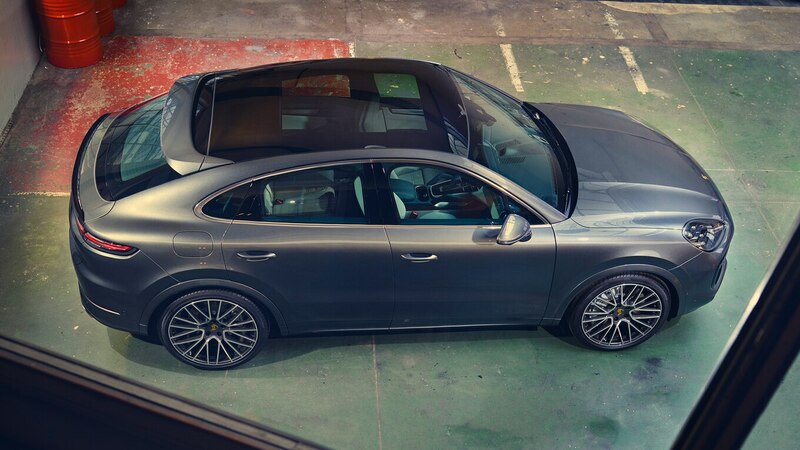 In terms of performance, nothing. 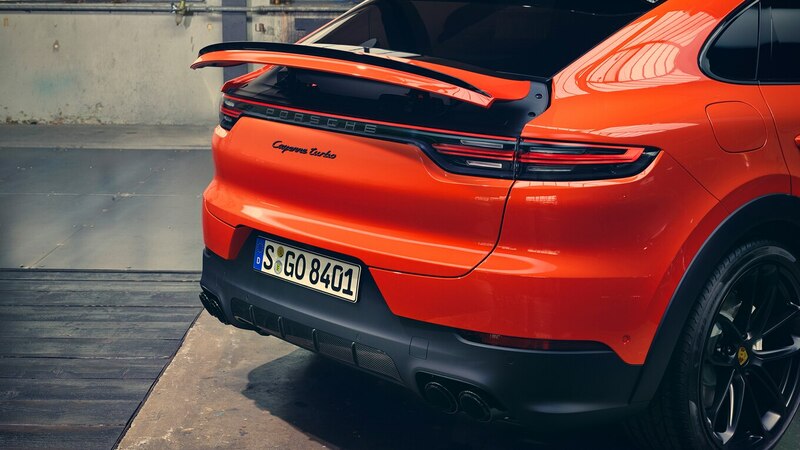 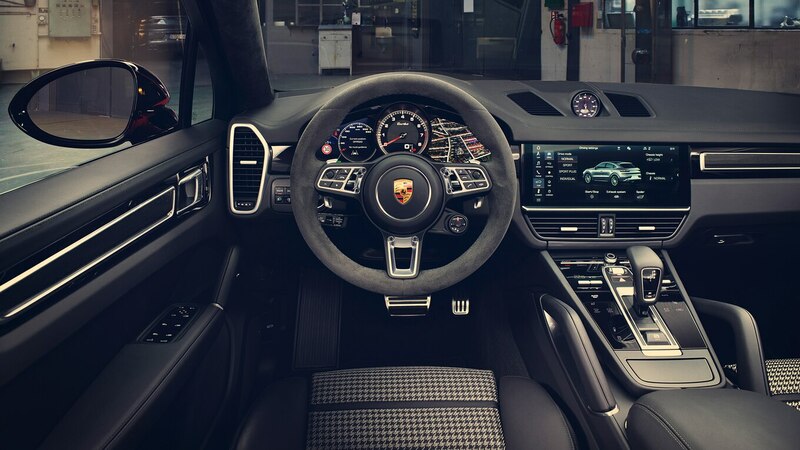 Porsche claims the V-6 Coupe will hit 60 mph in 5.7 seconds and has a top speed of 151 mph (243 km/h), while the Turbo Coupe is good for a 0–60 mph time of 3.7 seconds and a top speed of 178 mph (286 km/h). 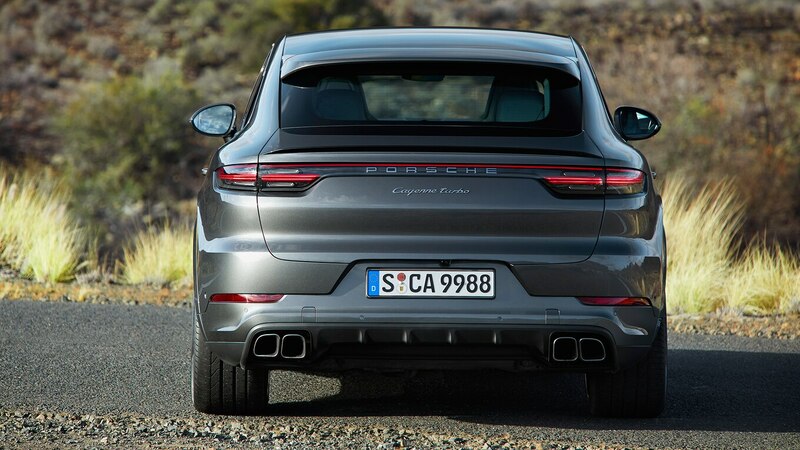 In other words, they’re no quicker than regular Cayennes. 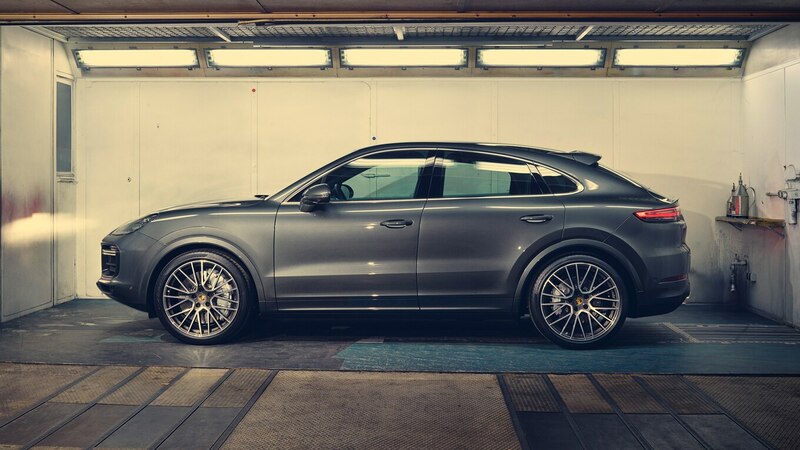 What you’re paying for is a restyled Cayenne with some extra goodies. 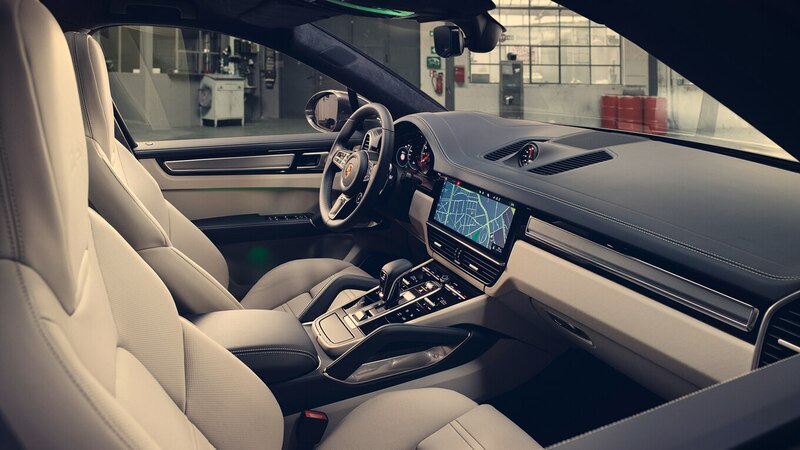 Both models come standard with Porsche’s Sport Chrono Package and a panorama sunroof, for example. 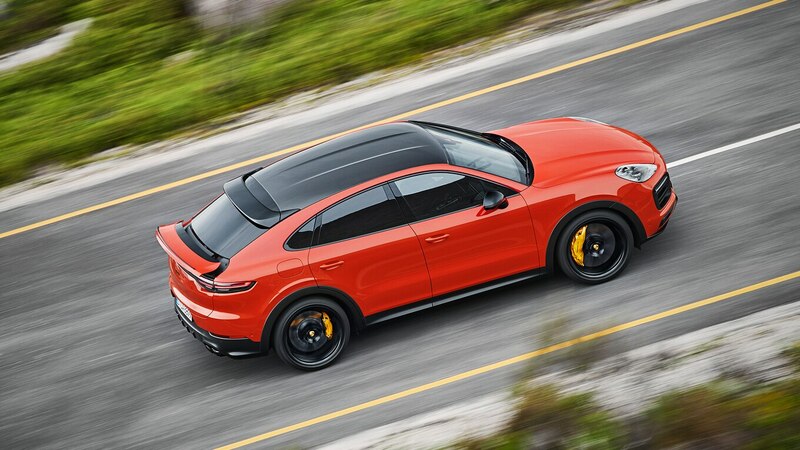 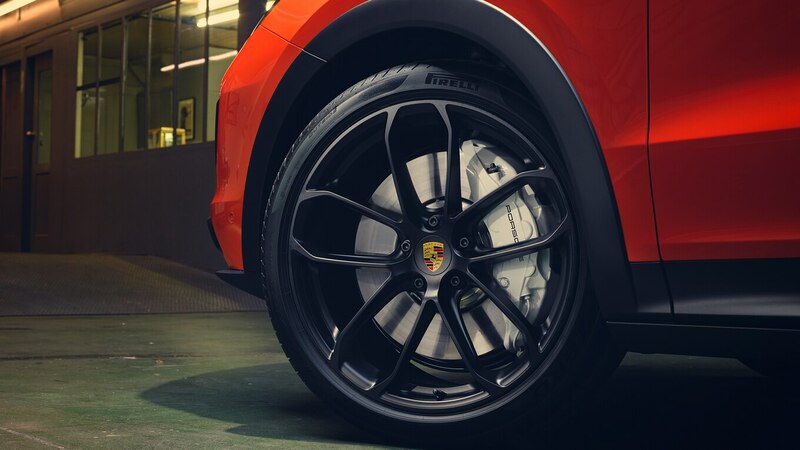 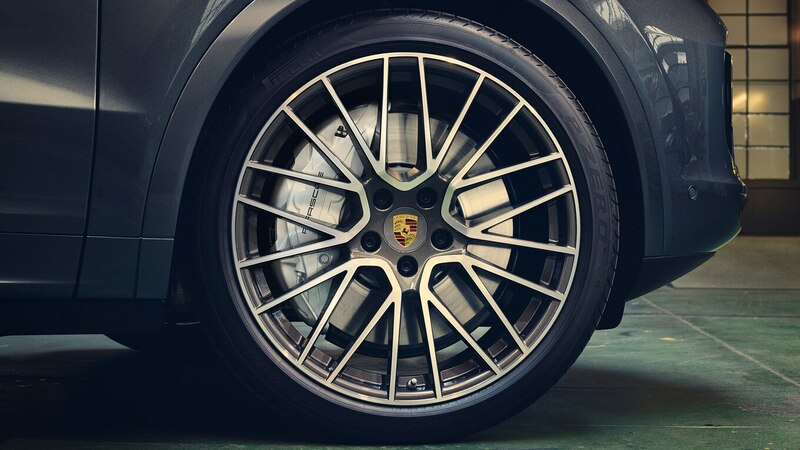 The V-6 Coupe rolls on steel springs with PASM-controlled shocks and sports 20-inch wheels, while the Turbo Coupe comes with air suspension and 21-inch alloys; it also gets Porsche’s PSCB surface-coated brake package with its signature white calipers. 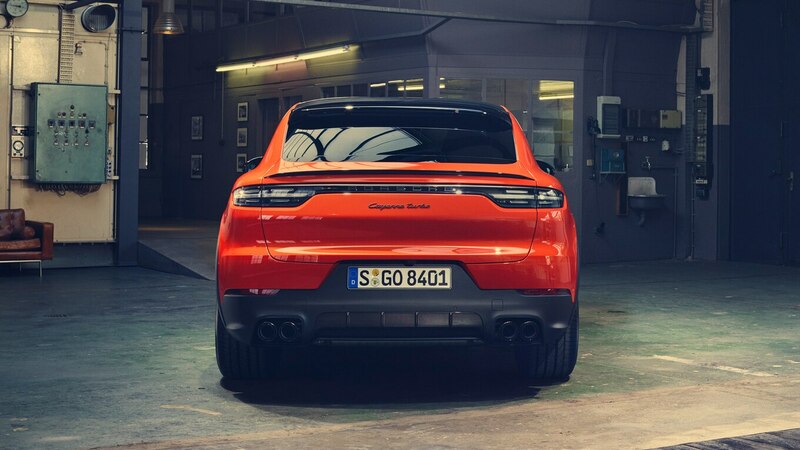 In terms of sheetmetal, the Coupe shares only its hood, front fenders, front door skins, and lights with the regular Cayenne. 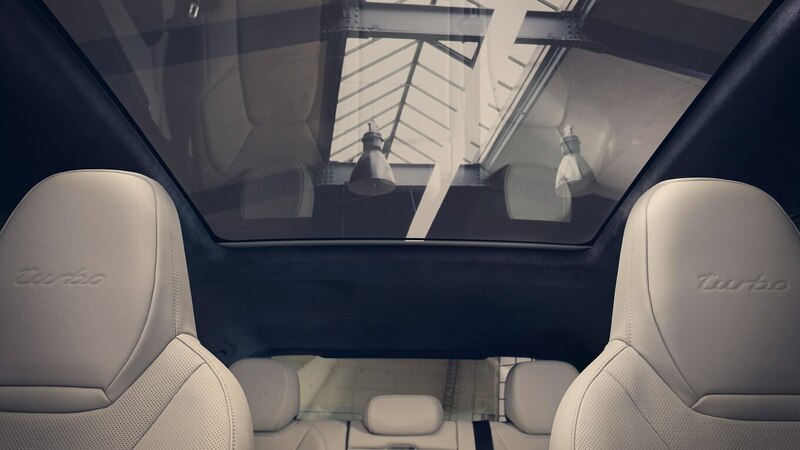 The A-pillars have been angled further back to deliver a faster windshield angle—the windshield itself is shallower—and the roofline has been lowered 0.8 inches. 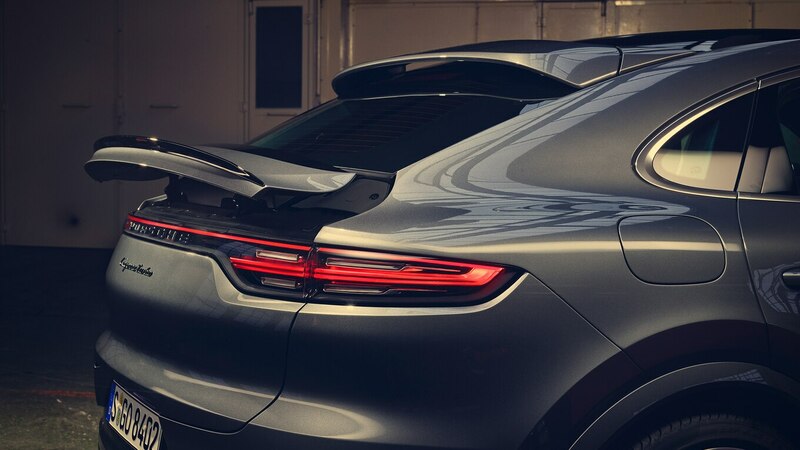 The cant rails arc gracefully rearward into 0.7-inch-wider rear quarter panels to create what design chief Michael Mauer calls the Porsche ‘flyline,’ providing the framing for a greenhouse graphic that overtly echoes that of the iconic 911. 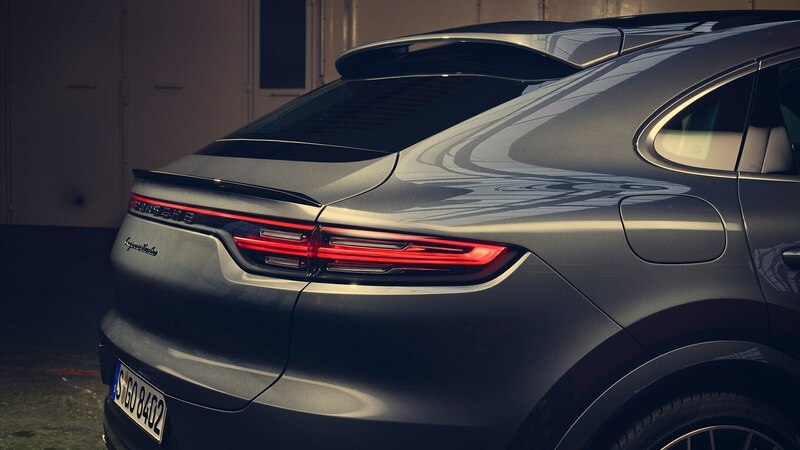 The rear backlight is steeply raked; the large rear hatch incorporates a fixed spoiler at its top edge and an active spoiler that nestles in the vestigial rump at the lower edge of the rear window. 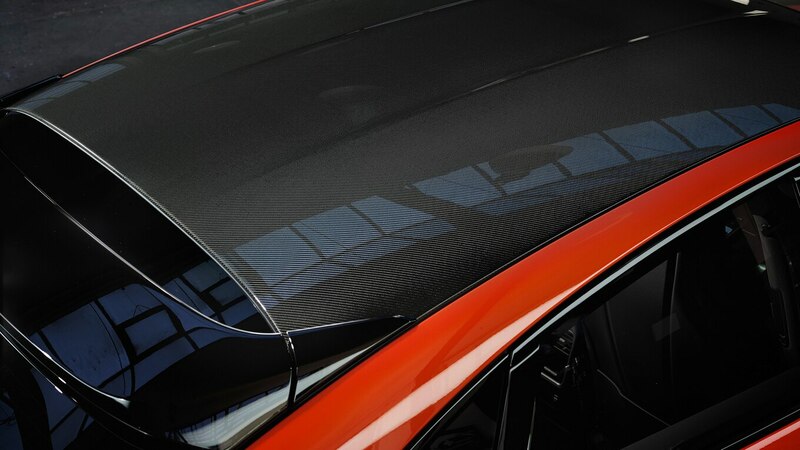 This lower spoiler deploys 5.3 inches into the airflow at speeds above 56 mph (90 km/h) to improve stability. 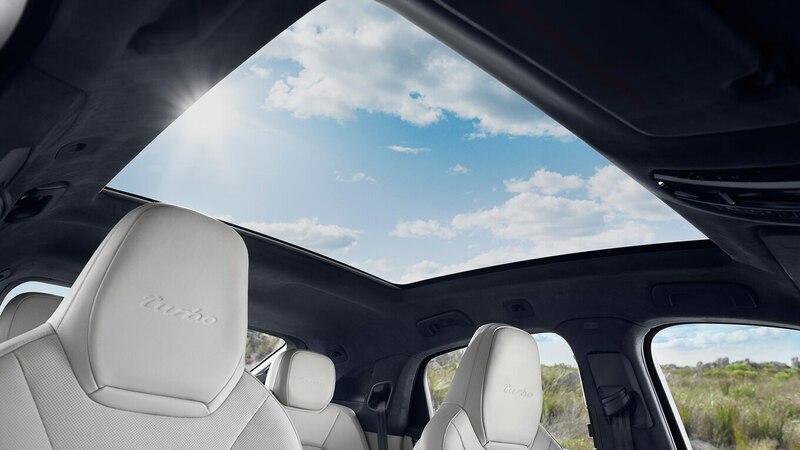 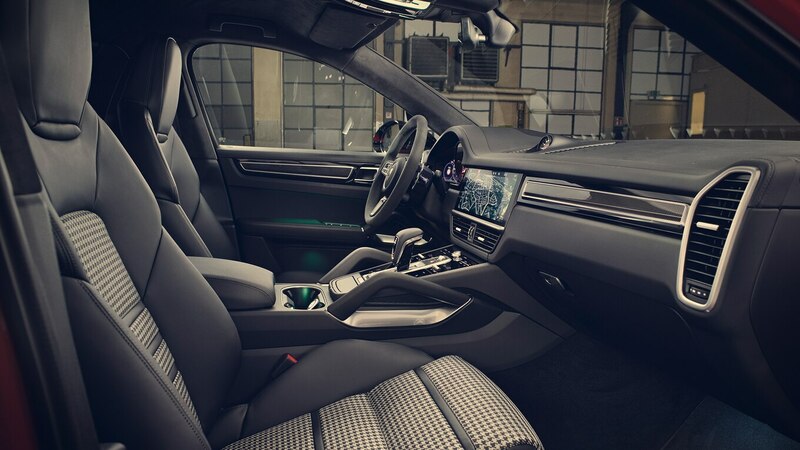 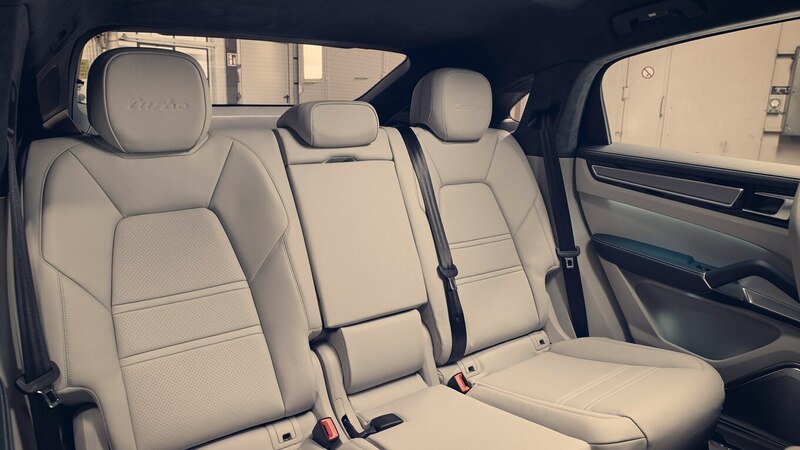 The decision to make the panoramic glass roof standard on the Cayenne Coupe is more than just an amenity. 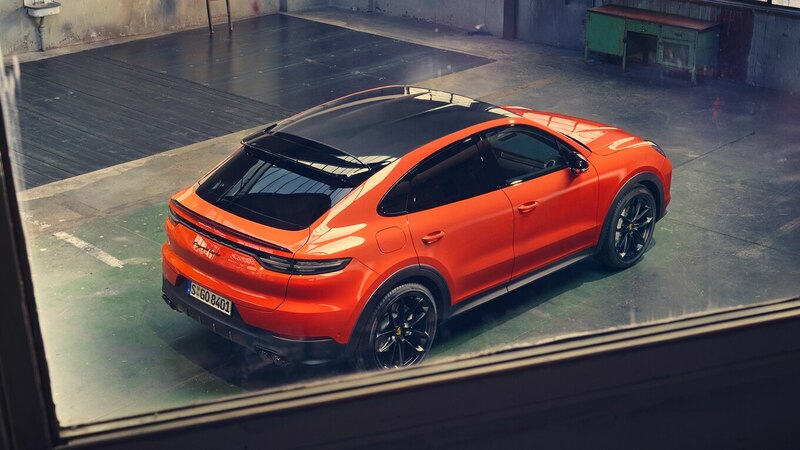 Its dark coloring artfully disguises the fact the roofline doesn’t sweep down from the B-pillar as dramatically as the greenhouse suggests it does. 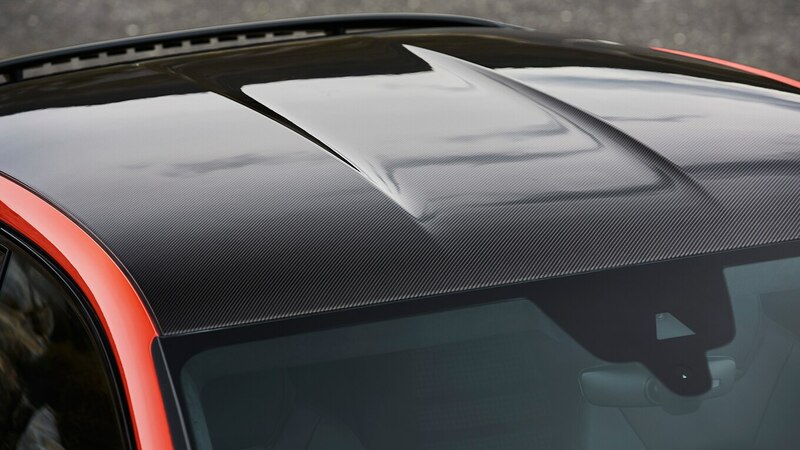 Similarly, the carbon-fiber roof (part of the optional Lightweight Sports package) is left clear-coated, the side benefit of which, of course, is you can show your buddies what you spent the extra money on. 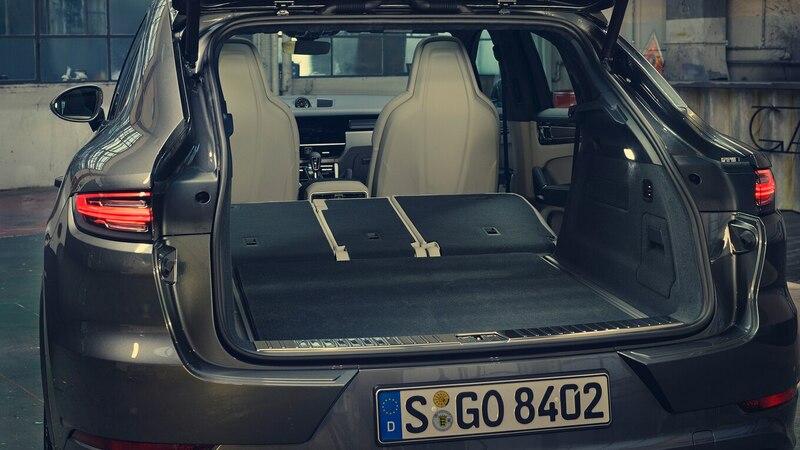 The package saves about 48 pounds (22 kg), most of it in the roof. 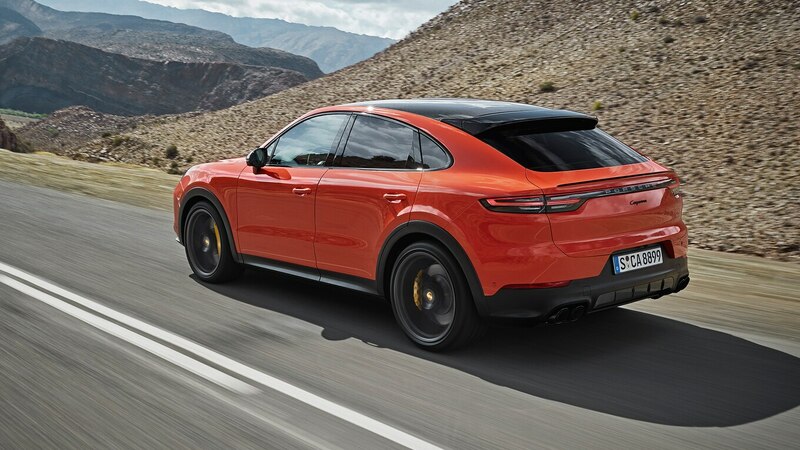 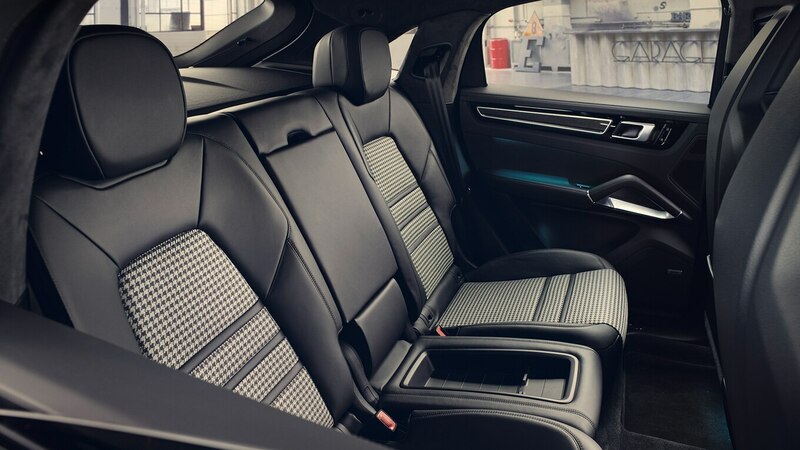 It also includes weight-reduced 22-inch wheels; different side skirts, wheel-arch trim, exhausts, and front vent graphics; and sporty checked cloth seat inserts.